It's probably only a matter of time. There are always a few cars on the market that people can’t stand. Sometimes they’re ridiculously outdated and no longer competitive. Other times they’re just plain ugly. And yet they remain for sale in dealer showrooms. Automakers are fully aware of their unpopularity but continue to build them anyway. We know most of you won't be fans of the following cars, but it’s still great fun to mock them. So here they are in no particular order of crappiness. Jeep Compass. Heck, let’s toss in the Jeep Patriot here, too. Both of these so-called SUVs share a platform with the discontinued Dodge Caliber. Launched for the 2007 model year, both the Compass and Patriot initially lacked refinement and quality because of their poor rides and plastic happy interiors. Really, Tonka toys are built better. Both were refreshed in 2011 but are now, once again, uncompetitive. With the arrival of the new Cherokee and Renegade, we’re not really sure why Jeep is keeping the Compass/Patriot duo around. Dodge Journey. First off, the Journey isn’t anywhere near as awful as it was when it first launched back in 2009. At the time Dodge seemingly went out of its way to cheapen what was supposed to be its Ford Edge rival. Like those previous Jeeps, its interior consisted of just about the cheapest plastics on the market. However, the Journey has always been a solid people mover with seating for up to seven. As crossovers of all sizes gradually went up in price, the Journey has always been a more affordable option. So there’s that, and not much else, despite a recent facelift which fixed that previously crappy interior. Scion xD. It’s kind of shocking this thing is still on the market when the xB is an obviously better choice. The Scion xD is really nothing more than a larger Toyota Yaris. Quality, as can be expected from any Toyota product, is solid but the xD isn’t competitive when compared to the Honda Fit and even the new Jeep Renegade. Rumor has it 2014 was its final year, but Scion has yet to make that official. Volkswagen Eos. Yes, let’s spend a minimum of $36,000 on what’s essentially the previous generation Golf minus its rear doors, but with a folding hardtop. That’s the VW Eos in a nutshell. The Eos has been on the market since 2006 and it’s only been moderately updated since. 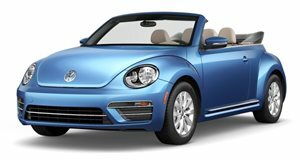 If you must have a VW convertible, go for the Beetle droptop. At least its underpinnings aren’t a decade old. Better yet, just buy a regular Golf and save thousands of dollars doing so. Mitsubishi i-MiEV. The i-MiEV lives and the Evo dies. 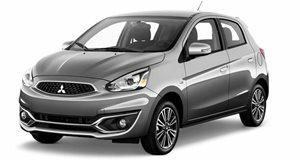 That’s Mitsubishi today. Ain’t it lovely? The Japanese automaker still believes in its golf cart sized EV despite better overall packed competitors like the Nissan Leaf and Ford Focus EV. Yes, the i-MiEV is fairly cheap, but would you really want to be seen in public driving one? We didn’t think so.